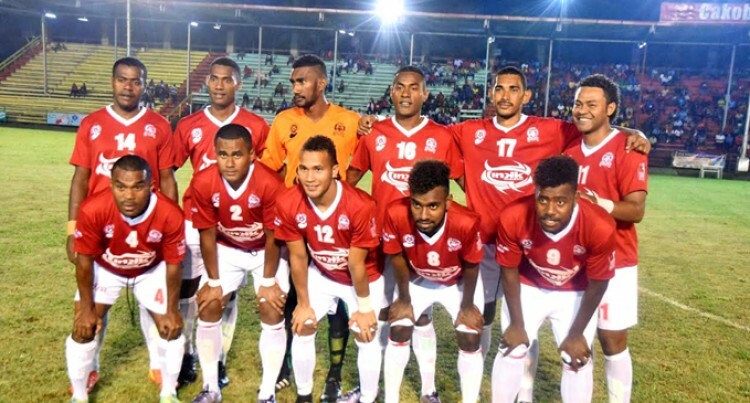 Rewa will be missing key players in centre back Mitieli Namuka and left back Amani Makoe against Nadi in the Vodafone Premier League clash at Ratu Cakobau Park, Nausori today. Namuka and Makoe received red cards in Rewa’s 4-2 loss against Ba last week and will miss one game. Coach Marika Rodu said he would have to switch players around. “Our objective is still the same which is to win but the side will be missing two key players in this game,” Rodu said. Rodu said they know what they will be up against as they have worked on their weaknesses from their game against Ba this week. “Nadi is always a tough team and we need to be fully focused. Against Ba we let them score three early goals which is something we cannot afford to let it happen again. “Our defence needs to be tight and we need to be alert and I know the boys understand what we need to do.